A recent FBI investigation named Operation Disconnect was a huge success, leading to over 300 arrests in the USA. Once again, the FBI is facing an ominous adversary, the Church of Scientology and their Narconon rehab centers around the globe. Today’s complaint focussed on the USA – Canada connection and information submitted indicates how desperate and vulnerable addicts and their loved ones are scammed out of upwards of $30,000 each. 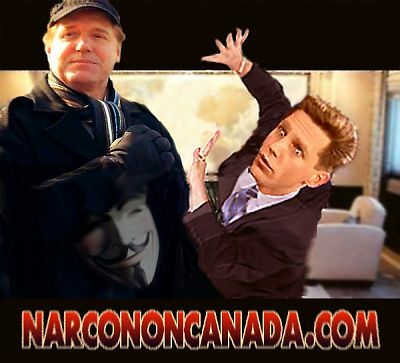 The hook in nearly every victim is the Cult’s promise of 70-90% success rate and they are convinced by a councelor over the phone that the Narconon treatment center is staffed by qualified medical professionals. An unwary loved one searches the internet for treatment for their son or daughter and quickly finds a long list of referral websites that can offer immediate help to a center in a town or city close by. Many of these deceptive websites neglect to indicate the name of the treatment facility or the exact location. The victim is simply asked to fill in a request for help form and click send or just call the toll free number for immediate help. A few minutes later and the desperate victims are talking to a Certified Chemical Dependency Councelor (CCDC). Little does the addict or loved one know that the person they are talking to is usually a recent Narconon Graduate who took a short Field Staff Member’s (FSM), Scientology course at Narconon and possess a Certificate printed at Narconon. Similar to a used car salesman, the councelor “a price can’t be placed on a life” and they promise an unrealistic success rate with excellent medical care. Narconon Trois-Rivieres in Quebec, recently closed because the Health Agency declared the patients were in imminent danger of harm or death, and the three recent patient deaths while in the care of Narconon Arrowhead, paint a clear picture that Narconon is a scam and governments from around the globe are taking notice and acting to protect their citizens from abuse and harm. With Federal investigations in the USA and Canada concerning telemarketing and internet fraud, exploitation, deceptive marketing practices, and conspiracy to commit fraud, this criminally convicted Scientology organization could soon be facing the justice system once again. More as the investigation unfolds.